The Democratic Karen Buddhist Army border guard force (BGF) in Myawaddy Township in Karen State has turned to a lottery system to recruit new soldiers after a call last month for new recruits went unheeded, according to an official from the Karen National Union (KNU). Saw Aung Maw Aye, a KNU official from Pa-An district, said a call for recruits was issued in early April by BGF advisor Saw Chit Thu, who summoned village heads to Mae Pleh To village and demanded 75 new recruits. He gave a deadline of April 27 for the new recruits. “Despite the deadline, no villages sent recruits. So they have now instituted a lottery system, whereby two residents from every village will have to draw tickets to determine if they must serve,” Saw Aung Maw Aye said. He added that every villager between the ages of 18 and 45 who picks the right ticket would be required to serve, whether they are married and have a family or not. Saw Zargana, a former BGF and DKBA officer who defected to the KNU, said the lottery system has now been imposed in several areas of Karen State. He added that training in Shwe Kaokko began in early May and that 80 new recruits had been gathered. The push to get new recruits has been linked to a spate of desertions among the DKBA, which KNU officials say have been on the rise. 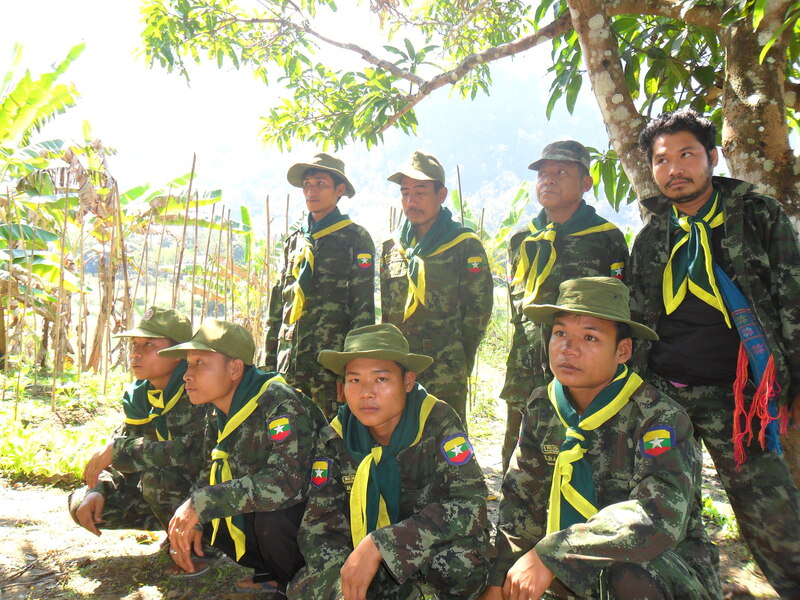 More than 50 soldiers from the BGF have deserted to the Karen National Liberation Army Brigade 7 in Pa-An. Villages selected for lottery conscription include Shwe Kaokko, Htee Wah Blaw, Ker Gaw, Loh Baw, Htee Kyar Ra, Kya Gaw Kho, Thae Pon, Htee Ho Htaw, Thi Way Pu, Par Kyue, Thit Ka Ya, Mae Pleh Hta and Taw U.